Discover why the precarious choice of spawning location means this species' young must make a life-or-death decision as soon as they hatch. 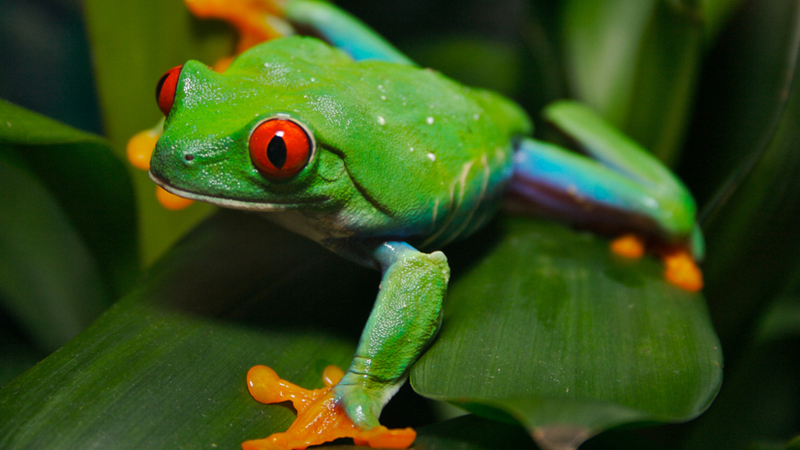 The South American red-eyed tree frog lives in rivers and ponds in the tropical rainforest. Female red-eyed tree frogs lay their eggs on the underside of leaves. As larvae increase in size and strength the eggs drop into the water below. Tadpoles hatch from eggs and develop into froglets. As the larvae increase in size and strength the eggs drop into the water below. Over the next 80 days, the eggs hatch and tadpoles will develop into froglets. The small South American red eyed tree frog lives in the rivers and ponds in the tropical rainforests of Central and South America.